Holotropic Breathwork™ offers a way to experience one’s self through perspectives that are uncommon in our everyday awareness. It invites discovery and exploration of our internal territory—unfamiliar aspects and parts of our selves —in a way that is new, fresh and inviting of new insight, awareness and possibility. Includes one breathwork session in the morning. Includes two breathwork sessions throughout the day. 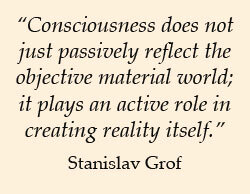 Stan Grof, the creator of Holotropic Breathwork™, calls it a “Technology of the Sacred.” When we do this work at the Academy, we contextualize it as experiential learning: there is something that we are each in a process of learning that lives uniquely within ourselves. The experience of the breathwork session is a way to open fully to what is within ourselves that is ready to be explored, whether it is something that needs to be known and healed, or a deep insight, or a feeling to be expressed. We place a strong emphasis on the integration process that follows the breathwork session, supporting participants to recognize what is being learned, and how the learning is happening – what capacity is growing – as well as ways to foster the ongoing learning and integration following the workshop. The schedule below is approximate – depending on the group size the beginning and end times of each day may shift slightly. Each participant will have the opportunity to “breathe” twice over the course of the 4-day retreat. The schedule will be a full day approximately 9:00am-9:00pm and will include two breathwork sessions throughout the day. A $200 deposit is required to register. able to fill your place with another registrant. The remainder of the total amount will be DUE on the first day of the retreat. Please complete the application/health history form and send it to Patty Nagle. Due to the nature of the work space is limited. To learn more about Holotropic Breathwork™ Retreat use the form below to contact The Academy. Diane Haug is a licensed therapist living in northern New Mexico and a senior member of the Grof Transpersonal Training staff. Her background includes a decade of working with adults and children dealing with life-threatening illness. Having completed the first three year training programs with Stanislav Grof, MD and Christina Grof, Diane has been involved with transpersonal psychology and the Holotropic Breathwork since 1986. Over the last twenty years she has been deeply involved with the international breathwork community participating in Grof training events in Scandinavia, Russia, Ukraine, South America, and Europe. Diane has developed GTT training modules including The Language of the Soul: The Art and Practice of Integrating Deep Inner Experience; Shamanism: An Exploration of Traditional Wisdom, Living with Dying and The Psychedelic Experience: Promises and Perils. Diane has a strong interest in using Holotropic Breathwork™ within a wide variety of contexts. Those contexts have included a Bioneer's sponsored invitational gathering of "Unreasonable Women for the Earth"; an annual women's retreat at the Upaya Zen Center in Santa Fe, New Mexico; a year-long "Gender Reconciliation and Social Change" training; "Breathwork and Psychodrama" through Southwestern College in Santa Fe, NM; and an indigenous healthcare program in the rural Philippines. She is presently an adjunct faculty member at Southwestern College, a transpersonally oriented graduate school, in Santa Fe, New Mexico and serves as the Executive Director of the Ocamora Retreat Center in Ocate, New Mexico.